A few weeks back, HBO decided to pull an NBC and cancel one of their greatest sitcoms: Christopher Guest's Family Tree, which starred Chris O'Dowd as an Irishman exploring his roots in England and the United States. It was an idi-freaking-otic decision. Thankfully, though, it's not the only new show O'Dowd has been working on. The actor (who you might know as the charming Irish cop in Bridesmaids or Jessa's jerk husband on Girls) created his very own sitcom back in 2012. And it just happens to be one of the best new shows on British television. It returns to the airwaves tonight, kicking off Season Two. 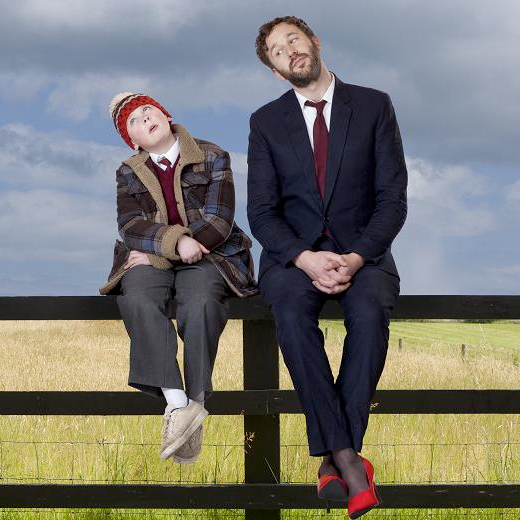 Moone Boy is all about a young lad growing up in Ireland during the 1980s — and his imaginary friend, played by O'Dowd. It's as sweet, off-beat and hilarious as that premise suggests. And it's wickedly smart to boot: the first season featured one episode about the fall of the Berlin Wall and another about the election of Mary Robinson, the first woman to become President of Ireland (with a wildly bizarre guest appearance by Steve Coogan). It's not just us who think the show rules, either: The Guardian called it "the most life-affirming delight to have hit our screens in a long time." Last year, it won the International Emmy for Best Comedy. Best of all, this is one O'Dowd sitcom whose future we don't have to worry about: Sky has already locked it up for a third season. Filming started in the fall. Check out 10 other brilliant new British sitcoms here.